QuickBooks is one of the most famous accounting software between Small and mid-sized business owners. This software is a one stop solution for all your accounting needs. It gives a complete peace of mind to business owners because it has lots of features that saves business owners time so, that they can dedicate their time to grow their business. Just like every other software QuickBooks also face some kind of problems. In this blog I will be discussing about one the most frequent occurring error i.e. QuickBooks error 6147. QuickBooks error code 6147 0 is series of QuickBooks error 6000. First, we need to understand what causes QuickBooks Error 6147. 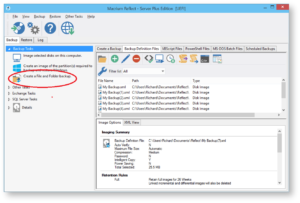 Restoring backup file from external drive or a network drive. Incorrect folder permission to the folder in which you have QuickBooks company file. QuickBooks company file is opened by a mapped drive that might have got deleted or the path no longer exist. Getting error QuickBooks Error code 6147 0, you will not be able to get in your company file. Not able to restore back up file. How to Fix QuickBooks Error 6147? Let’s discuss on the possible solutions to deal with QuickBooks Error Code 6147. However, if the problem is reoccurring and is not getting sorted even with the below solutions. 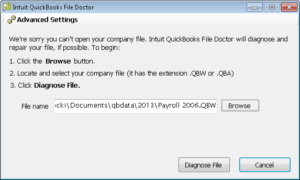 You have to download and install the QuickBooks File Doctor to implement this solution. Run this tool after the installation is finished. Solution 2: Create back-up files at a different location. Note: You can try this solution if there is any problem with the backup file. However, If you have your file located at the network drive or if your backup is hosted by Online QuickBooks backup, then you have to save your file to another location. You can use some other computer system locally to save the backup files. Ensure that the hosting of the system is not done. In QuickBooks, So, Click on the file menu and then select utilities. Stop the Hosting Multi-User access. Click yes on the window shown. Wait for the next window to have appeared. Click on the yes option with company file closed. Restore with the backup file present on the system. Note: Hosting helps a lot to give the permissions to access the file of the company. This can be done by multi-user configuration. There might be a possibility that QuickBooks Error 6147 is still not resolved even after trying many solutions. You should verify that the company file name is not more than the allowed 210 characters. Trend Micro Active Scan settings are to be configured. You have to set aside the folder that has the company file. Press Ctrl and then double click on QuickBooks followed by opening it without disturbing the company’s file. Company’s file should be on the top. From the list of the files, choose the company file. The file list will open that would display the location of the file. Now, you have to open the scan settings of the Trend Micro active scan. You have to carefully select the folder and add it to the exception. Note: Since QuickBooks support doesn’t provide help with the Trend Micro, nothing can be suggested with how to implement the exception. You can visit the page of Trend Micro support page on their website to know how to set the exception with the files or folder. Rename .ND and .TLG file. .ND and .TLG files are the configuration files of QuickBooks that allows company file to run in a network or in a multi user mode. Open the folder which contains your QuickBooks company file. Right click on these files and rename it to .ND old and .TLG old. 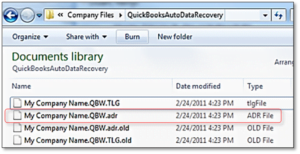 Solution 4: Rename ADR file as QuickBooks Working file. Renaming .ADR file can help you in fixing the QuickBooks Error 6147. Open the folder with your QuickBooks company file. Right click on that file and rename it to .qbw. 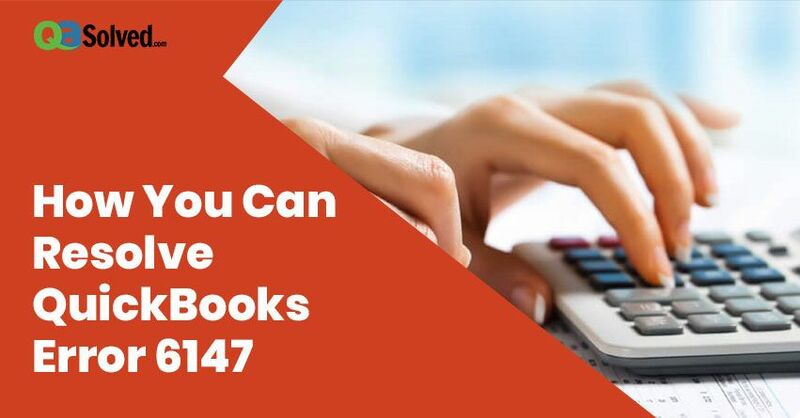 If QuickBooks Error Code 6147 is still not fixed, immediately contact on QuickBooks Error Support Number 1-877-263-2742 and connect with technical experts to fix the issue without a minute delay.